Sen means 'before' and these techniques apply to attacks made just before the opponent's stroke is delivered. In Kendo it is impossible to cut without exposing the body to attack, since the act of lifting the Shinai opens the attack line. 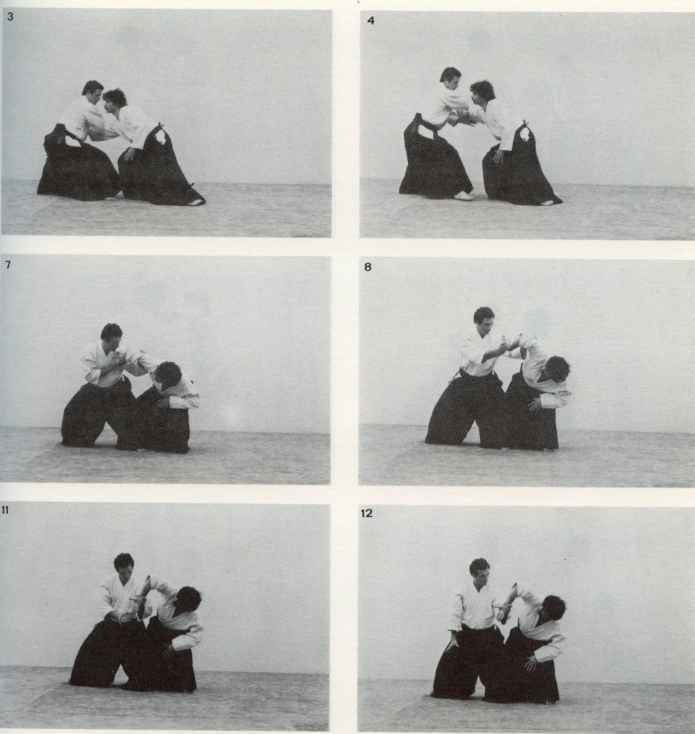 Men-senno-do is to attack the Do as the opponent strikes down to the Men, this normally takes the form of Nuki Do (drawing Do) and the side-step avoids the cut as the counter attack is made. Men-senno-men can be made by attacking directly forward as the left hand passes down below the attacker's face and is taken to the right. Men Senno Dzuki is performed by dropping the point and thrusting upwards but this is very dangerous unless both the attacker and attacked have a good idea of what is happening. Kote-senno-gote or Kote-senno-do can also be taken but the timing is more difficult. Do-senno-gote is easier since the attacker's Kote is entirely open as his Shinai swings inwards. Do-senno-men is shown in plate 147 and as the attacking Shinai swings across to the left the Men is exposed. The illustration shows clearly the method of carrying the Shinai off after cutting and dashing past to the left. In these techniques it must be remembered that the opponent is himself leaping forward and our own attack is very short, often a mere quarter step. This idea of distance is essential to keep the delivery within the Dage-kibu (striking base).